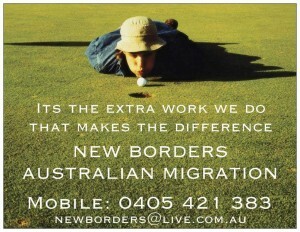 Providing Sydney with Immigration Services for all Australian visas. Also providing Sydney with Migration Review Tribunal MRT Services. Anyone and everyone coming to Australia must have a visa to enter. A visa grants the holder the right to apply for entry into AUSTRALIA. The right visa grants the holder the right to enter AUSTRALIA. Everyone coming to Australia must have a visa. So if you are thinking of coming to Australia for permanent, or Business, Study or working Holiday or a Tourist or just a short stay visit, you must apply for a visa. 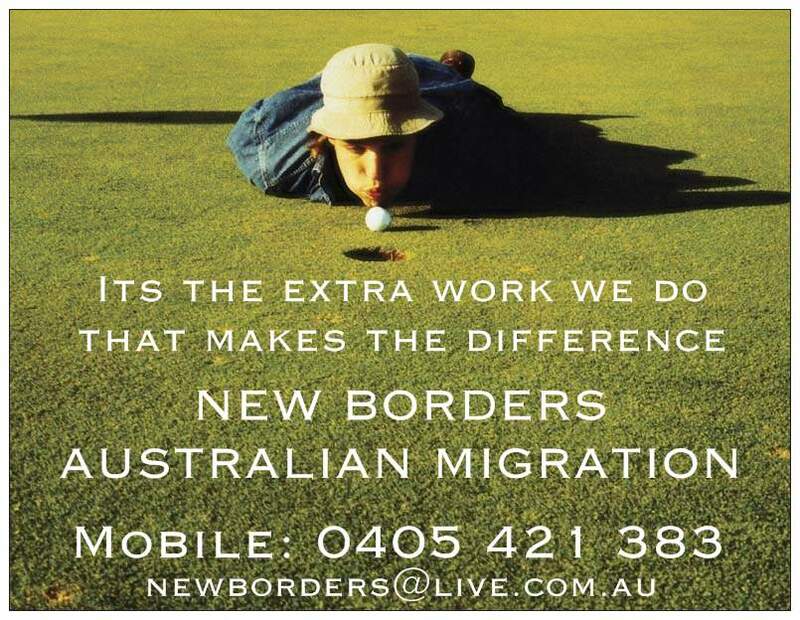 New Borders Australian Migration aims to give you the information you need to get an appropriate Australian visa.